Brad was out on the local Wednesday real estate open house tour today and took some pictures of the beautiful winter landscape we enjoy every day in Park City. 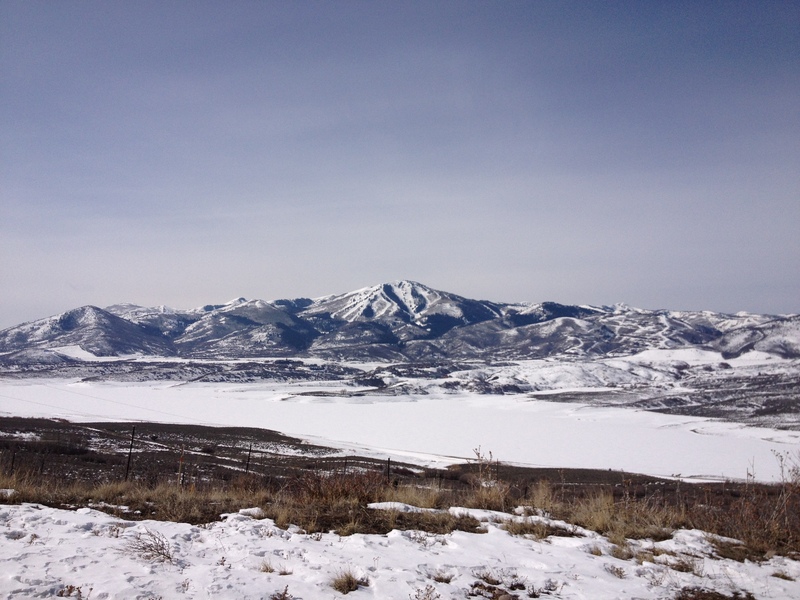 This picture is of Deer Valley taken from the eastern side of the Jordanelle Reservoir. Location: The Paint Mixer LLC. Martin Sexton to Perform on Park City Live Stage! Times: Doors open 8:00pm/ Showtime 9:00pm. 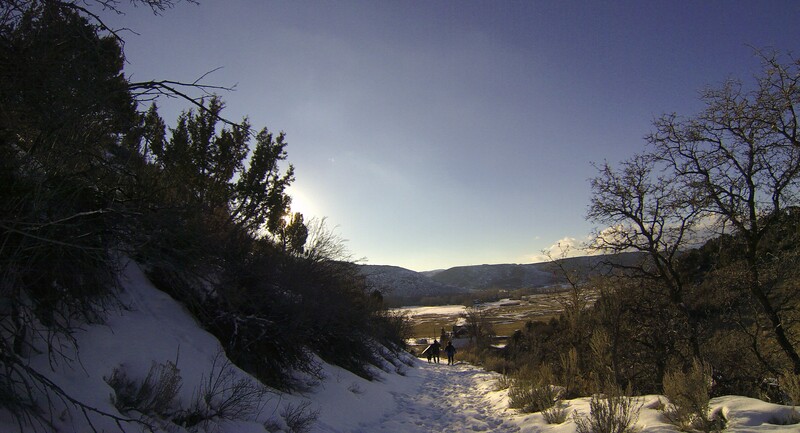 Brad had an opportunity to take a few fellow realtors out snowshoeing on our Marchant River Ranch listing in Peoa, Utah. The conditions were perfect and they spent a couple of hours roaming the property and soaking in the awe-inspiring setting. 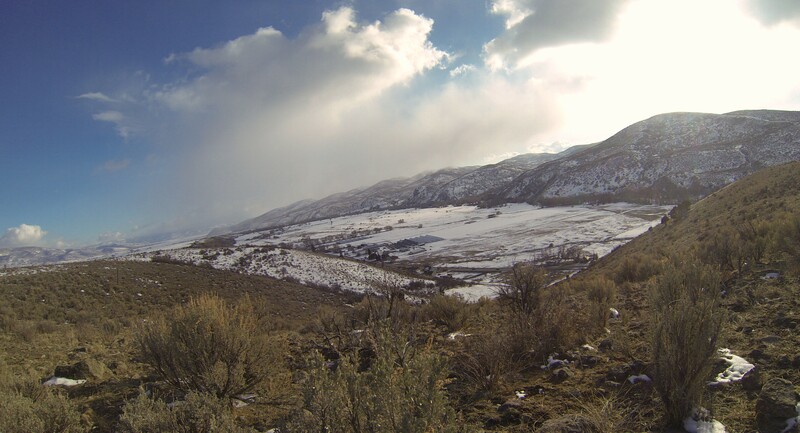 This large parcel located in Summit County is perfect for a Gentleman Rancher. 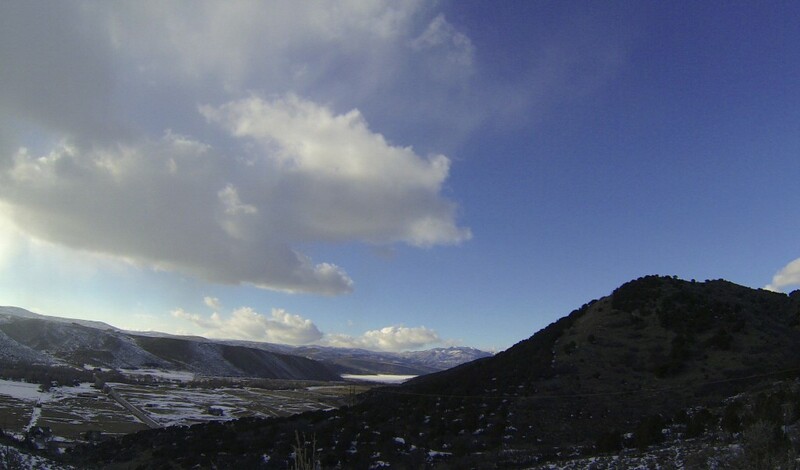 Awe-inspiring natural setting on approximately 335 acres with live fresh water springs and an abundance of Weber River Frontage. Peace, privacy and solitude perfectly describe this amazing piece of property. A place where natural rhythms still reign. 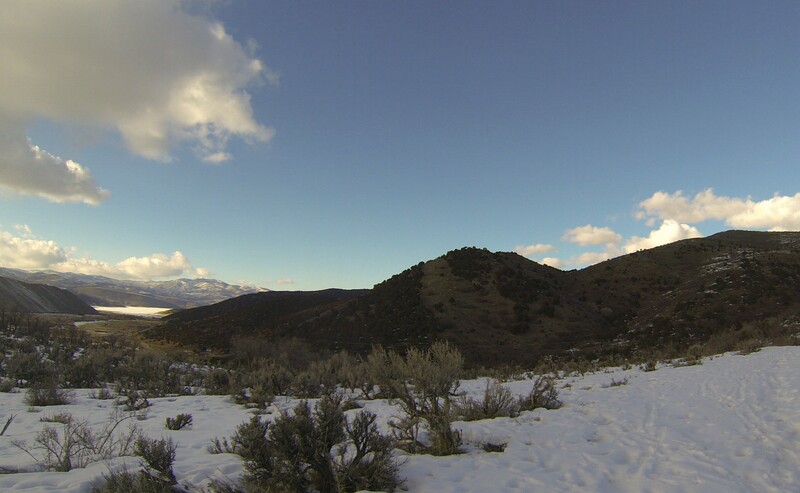 Step out your front door to fishing, private equestrian, hiking, snowshoeing and much, much more with the high Uintahs literally out your back door. Beautiful views, abundant wildlife, fabulous fishing, privacy and convenient. Rare must see property. 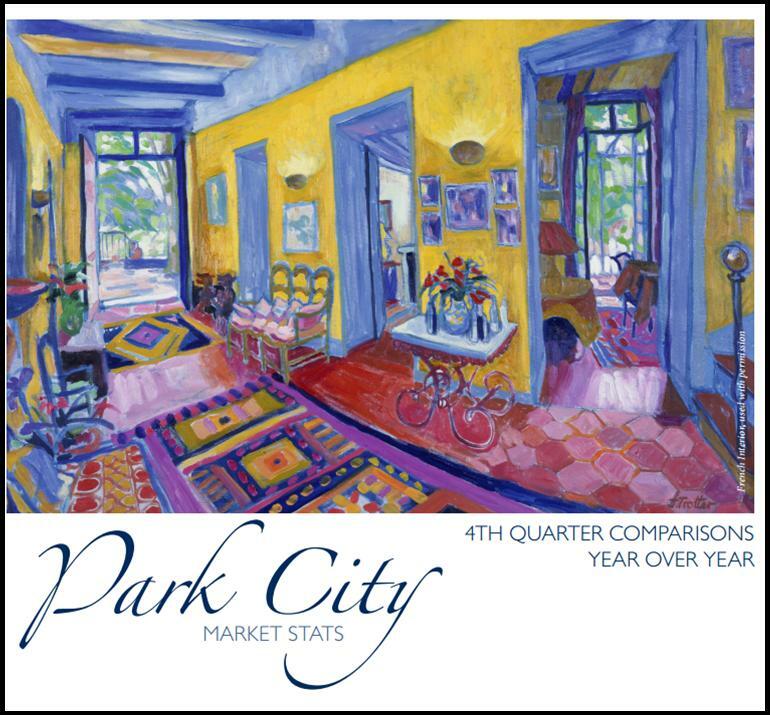 Park City Lifestyle Wednesday photo drop. A couple of days ago Brad discovered he had a new guest. 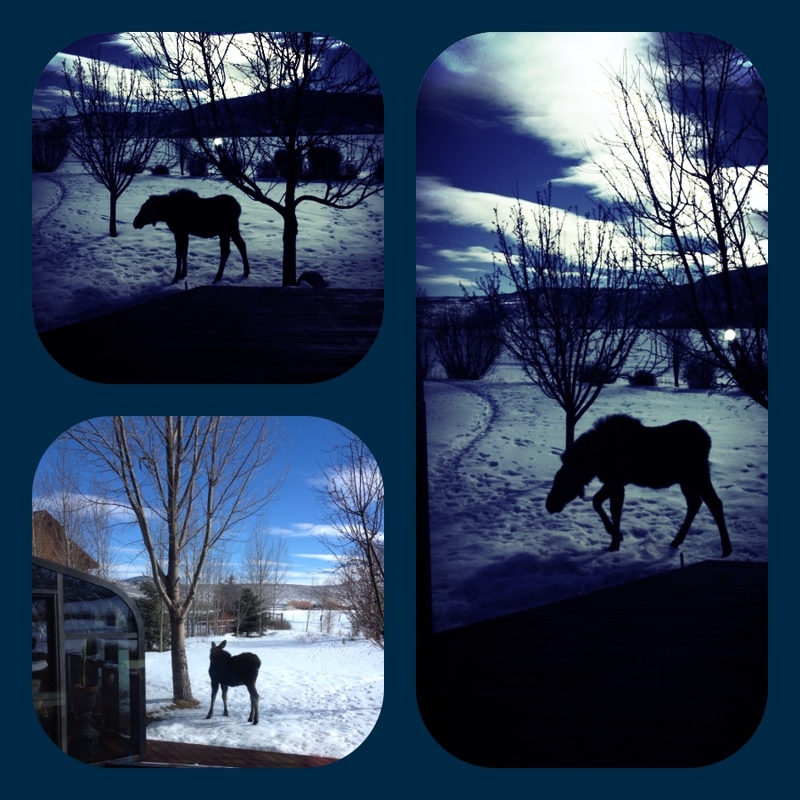 A yearling moose had wandered into his yard in Ranch Place and set up camp. Unfortunately there is no sign of his mother. The young moose has stayed in the area for the last few days munching on the foliage. It is our hope that the young moose is old enough to survive on its own and will eventually move on to the mountains. In the meantime we will enjoy the little glimpse of the beautiful wildlife here in the Park City area.